This text refers to the Queen 2007 reprint. The older edition had players write down their viking orders and was two rounds longer. 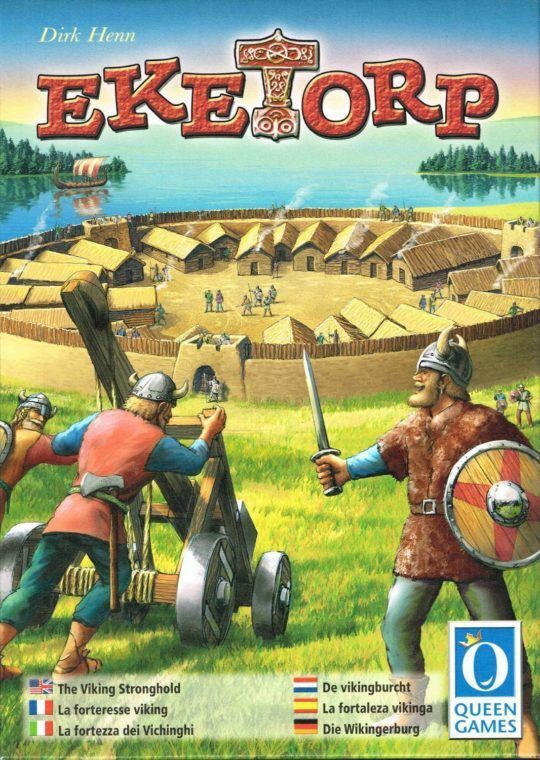 In Eketorp, players build Viking strongholds upon the Swedish island of Öland. The goal of the game is to collect the most valuable blocks to build your own fortress, either by winning battles on the resource spaces or by stealing blocks from other vikings. Each turn, new resources appear and the players secretly plan their viking movements. After all the placements are revealed, vikings battle each other for blocks (with the losers sent off to the field hospital to recover). The game ends after a set number of rounds, or when one of the players has succeeded in finishing their fortress.